When KolbeNet was started, it was due to inspiration from St. Max Kolbe — the miracles in his life, his love for the Blessed Mother, and his militant love for Catholicism. His mission was to win the world for the Immaculata as quickly as possible. Life in Christ, the life of every Catholic, is found modeled in St. Max. A man who gave everything for our Lord, including his life. Faithful priest, apostle of the media, and martyr of charity, St. Max leads us into the coming times with the light and the passion of Jesus. This is the story of the life of St. Maximilian Kolbe. As much care as possible has been taken to ensure the accuracy of this document. The images represent the stages of his life and the situations and environments that he was exposed to. Please take the time to read this amazing story of a remarkable Saint and martyr. On January 8, 1894 (125 years ago) in Zdunska-Wola, Poland, Raymond Kolbe was born to a very holy Catholic family. His mother, Maria, and his father, Julius, were poor working class people who loved the Church and their family. They were both third order lay Franciscans, and very devoted to raising their children in the Church. Raymond was a "wild" young boy. His mother often worried about the direction of his life because of his constant mischief. He wondered himself what he would become. After praying before a statue of the Blessed Mother, Raymond told his mother that he had seen Mary. She handed him two crowns, one white, the other red. 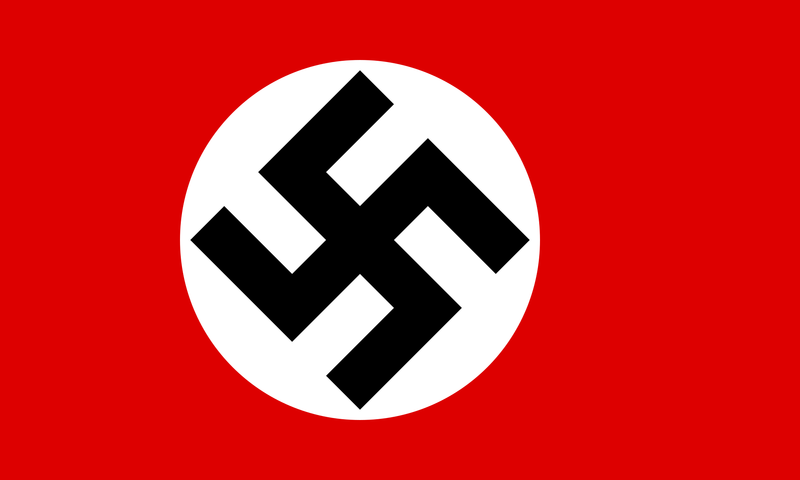 The white crown represented purity, the red represented martyrdom. She asked which he would take. Raymond asked for both and she left. Raymond's love for math and science, especially astronomy and space flight, lead him in the direction of becoming a scientist. His brilliant sketches of space rocket designs were sent to be patented. However, his designs were not openly accepted by the scientific community. His love for the faith and seeing those who are against the Church, especially the Mason's demonstrations against the Holy Father, helped him to make his decision to give up any desires to be a scientist and astronomer. He found interest in the Franciscans. Raymond was worried, however, that he was called to be a soldier and not a priest. Fortunately he saw God's call in his life. On September 4, 1910, he entered the Conventual Franciscan Order. He was sent to Rome for his studies where he was ordained a priest in 1918. Father Kolbe's mission in the priesthood was to be a spiritual soldier. Many people at that time were speaking out against the Catholic Church, especially the Masons. The Masons held demonstrations convincing people to stay away from Catholicism. Father Kolbe witnessed these demonstrations and had to do something to counter them. 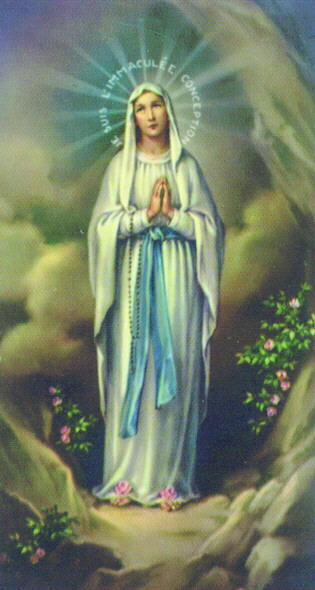 The Militia of the Immaculata was born in Poland on October 16, 1917. A group of priests, and eventually laymen, would consecrate themselves to Immaculate Mary, to be used by her to lead others to Jesus and His Church. Their work would be educational and spiritual. Through their work and their prayer, they would lead a spiritual formation that would bring others to Jesus. 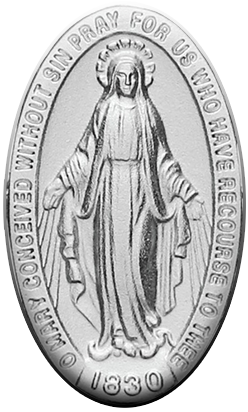 The Militia's members would wear the Miraculous Medal as their habit as a spiritual soldier. The medal was the result of an apparition to Sister Catherine Laboure in the Chapel of the Motherhouse of the Daughters of Charity in Paris. Mary showed Sister Catherine an image. 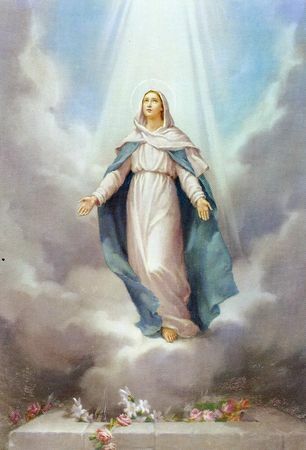 The image contained Mary, with her arms stretched out and rays of grace coming from her hands, with stars around her head. She told Sister Catherine, "Have a medal struck on this model. All who wear it will recieve great graces." The members would say a prayer every day. They would repeat the prayer on the medal three times, "O Mary, conceived without sin, pray for us who have recourse to thee," followed by the prayer, "And for those who do not have recourse to thee, especially the enemies of the Church and those who are recommended to thy intercession." The Militia was given the status of a Primary Union by Pope Pius XI in 1926. In 1927, Father Kolbe established an evangelization center near Warsaw called Niepokalanow, the "City of the Immaculata." By 1938, the City had expanded from eighteen friars to an incredible 650, making it the largest Catholic religious house in the world. 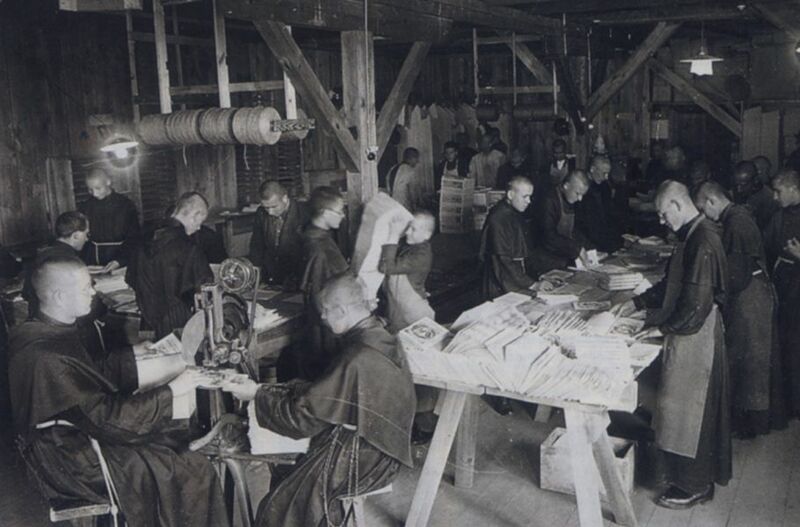 Father Kolbe planned to start a printing house where information could be mass produced and sent to millions of people. However, he had only half of the necessary funds. He trusted the Immaculata to help, praying that she would supply them with the needed funds to complete the work and print their publications. During his prayer before a statue of the Blessed Mother, he noticed an envelope. On the envelope, it said, "For you, Immaculata." Inside, the exact amount needed to complete the project. Father Kolbe and the other priests developed a monthly magazine with a circulation of over 1 million, and a daily newspaper with a circulation of 230,000, as well as countless catechetical and devotional tracts. The friars used the latest printing and administrative technologies to print and distribute their publications. Father Kolbe also started a radio station and planned to build a motion picture studio. All of this was used to teach and spread the Catholic faith and to teach the whole world about the Church. When World War II started, the printing apostolate that Father Kolbe had started was a target of hatred from the Germans. Father Kolbe was arrested by the Gestapo and released in December, 1939. In February of 1941, he was arrested again and imprisoned in Warsaw. While in Warsaw he suffered from an inflammation of the lungs and was confined to the infirmary. On May 28, 1941, Father Kolbe, in a group of 320 prisoners, was transferred to the concentration camp at Auschwitz. During his time there, he would share his meager rations of food with those around him who were hungry. He would secretly hear confessions and hold Mass for others in the camp. His work, even under these terrible conditions, continued. He would comfort the prisoners, saying, "Hate is not creative. Our sorrow is necessary that those who live after us may be happy." Father Kolbe would plead with the prisoners to forgive their persecutors and overcome evil with good. 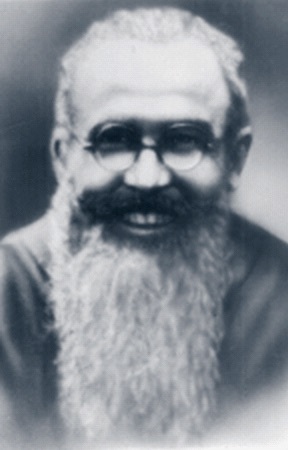 A Protestant Doctor who treated the patients in Father Kolbe's block, Block 12 at that time, said that Father Kolbe would not let himself be treated before any other prisoners in that block. He sacrificed himself for the other prisoners. From my observations, the virtues in this Servant of God were no momentary impulse such as are often found in men, they sprang from a habitual practice, deeply woven into his personality. Father Kolbe had gotten better, well enough to be transferred to Block 14. One day, a man in Father Kolbe's block had escaped. All of the men from that block were brought out into the hot sun and made to stand all day with no food or drink. At the end of the day, the man that had escaped had not yet been found. Commandant Fritsch, the guard who was in charge of this group, told the men that ten would die in place of the the one that had escaped. The guard called out the names. One man, Polish Sergeant Francis Gajowniczek, begged to be spared because, worried about his family on the outside who would not survive without him when he finally got out. Father Kolbe silently stepped forward and stood before Commandant Fritsch. Father Kolbe pointed to the polish sergeant, saying, "I am a Catholic priest from Poland; I would like to take his place, because he has a wife and children." The commandant stood silent for a moment, then allowed the sergeant to take his place among the other men while Father Kolbe took his place. He was then sent to the starvation chamber. The secretary and interpreter for this bunker was so impressed by Father Kolbe's heroic actions that he kept an exact record of his last days, more detailed than the job required. Each day the guards would remove the bodies of those who had died. The sounds of screaming and crying were not heard from the starvation bunker. Instead, the sounds of Father Kolbe leading the Rosary and singing hymns to the Immaculata with the other prisoners in the bunker could be heard. While the guards were away, the secretary would go into the bunker to speak with and console the prisoners. When Father Kolbe could no longer speak from his hunger and lack of energy, he would whisper his prayers. After two weeks, the cell had to be cleared out for more prisoners. Only four prisoners were left, Father Kolbe was one of them. They injected a lethal dose of cabolic acid into each prisoner. Father Kolbe, the last prisoner left to be killed, raised his arm to the guard. On August 14, 1941, the eve of the feast of the Assumption of Our Lady into Heaven, Father Kolbe was martyred. The next day, his body was cremated. The man whose place Father Kolbe took was present for the beatification of Blessed Kolbe, a confessor, by Pope Paul VI on October 17, 1971. On October 10, 1982, Pope John Paul II canonized him Saint Maximilian Maria Kolbe, a martyr. Today St. Kolbe's work still continues through the members of the Militia of the Immaculata. This work is obvious still throughout the world. KolbeNet's purpose is to carry out the work of St. Kolbe, to continue to bring Catholics together, to educate them, to get them to work together as one to win the world for the Immaculata, and as soon as possible. We will do whatever it takes, just as St. Kolbe has done, to fight the spiritual battle and to win the world for the Immaculata. We are not alone. Other sites that are run by members of the MI include CatholiCity and Catholic Goldmine. CatholiCity's Bud MacFarlane, Jr., a member of the MI, also writes Catholic novels and produces Catholic audio tapes.